The Central Bank of the Bahamas will issue a new 3-dollar note on 28 March 2019. What will it look like? From the press release: "Predominantly, burgundy with shades of brown, red, lavender, and yellow, the banknote measures 156 mm long and 67 mm wide bearing on the front a portrait of Queen Elizabeth II, the series, and the signature of the Governor of the Central Bank of The Bahamas, together with the words "Central Bank of The Bahamas. 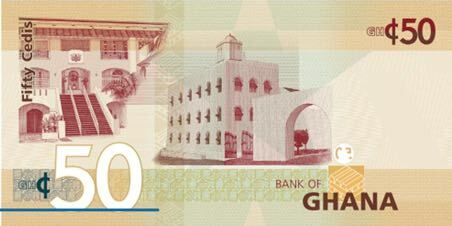 These notes are legal tender under the Central Bank of The Bahamas Act 2000 for payment of any amount Three Dollars". 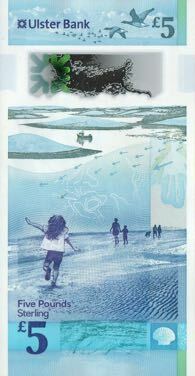 A watermark of Queen Elizabeth II and numeral $3, a replica map of the islands of The Bahamas, and the denominational value in words and figures appear on the left, with an image of a Passion flower in the center. The back features images of sail boats at sea. The images are flanked above by the numeral $3 that appears in the upper left and lower right corners, while the words "Three Dollars" are in the upper right quadrant. Just below the images of sail boats is the Coat of Arms of the Commonwealth of The Bahamas along with the words "Central Bank of The Bahamas"." Update 8-4-2019: pictures and videos below. CRISP Evolution (CE) $3 Banknote from CBOB IAM on Vimeo. The Central Bank of Azerbaijan has introduced a new 10-manat banknote on 18 March 2019. 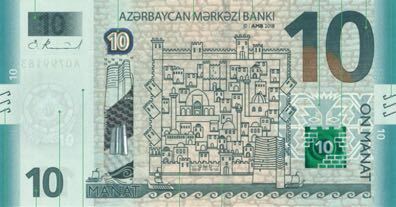 "The key design element of the renewed 10 manat banknote has been retained (a schematic view of the Icheri Sheher and the Maiden Tower, the Azerbaijani map and European integration, a number of carpet patterns). 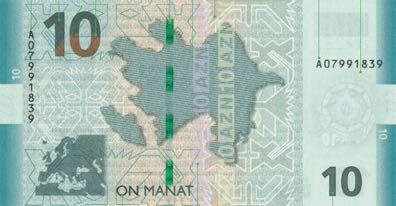 As for security elements, in contrast to the existing 10 manat banknote, the new banknote on the obverse has the Coat of Arms of Azerbaijan as a watermark. On the left side there is a new hologram reflecting the Maiden Tower, moving waves and a big denomination number in color changing shimmering lines in 3D effect (LEAD). Mini letters and figures are visible in different parts of the hologram. 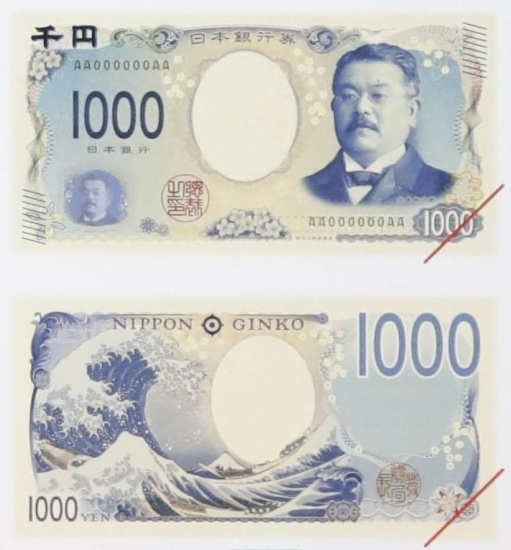 At the same time, the front of the banknote depicts the image of part of the Icherisheher, that delivers dynamic light effects and color changing properties from green to blue (SPARK LIVE®). The tactile printings can help sight impaired persons to recognize the value of the note. On the reverse of the banknote there is a window type new security thread with '10' and 'AMB' texts on it and color changing properties from green to blue (Rolling Star®). Also iridescent ink stripes in violet and gold reflect the '10 AZN' letters." "The firm F + W media, a major periodical and book publisher whose titles include Numismatic News, Bank Note Reporter, and the seminal references Standard Catalog of World Coins and Standard Catalog of World Paper Money, has filed for Chapter 11 bankruptcy protection to reconcile $105.2 million in outstanding debt. In its March 10 filing in U.S. Bankruptcy Court for the District of Delaware in Wilmington, F + W Media cites just $2.5 million in cash on hand. The company plans to remain in operation while it plans liquidation of its holdings. Company officials cite industry decline, problematic investments and corporate mismanagement as contributing factors leading F + W into bankruptcy. The court filing identifies an estimated 1,000 to 5,000 creditors that fill 543 pages of court documents." Will this be the end of the Standard Catalog of World Paper Money? The Swiss National Bank (SNB) has announced it will present it's new 100-francs banknote on 3 September 2019 and it will be issued to the public from 12 September 2019. This news was mentioned in the same press release where they announced the new 1,000-francs note. The 100-francs note will conclude the release of the ninth banknote series. "The inspiration behind the new banknote series is ‘The many facets of Switzerland’. Each denomination depicts a typically Swiss characteristic, which is then illustrated graphically using a range of elements. The 1000-franc note focuses on Switzerland’s communicative flair, as expressed by language, the note’s key motif. Core design elements are the hand and the globe, which appear on every denomination in the new series. As with the banknotes currently in circulation, the ninth series consists of six denominations; the colour scheme, too, remains the same. Accordingly, the main colour of the new 1000- franc note is purple. 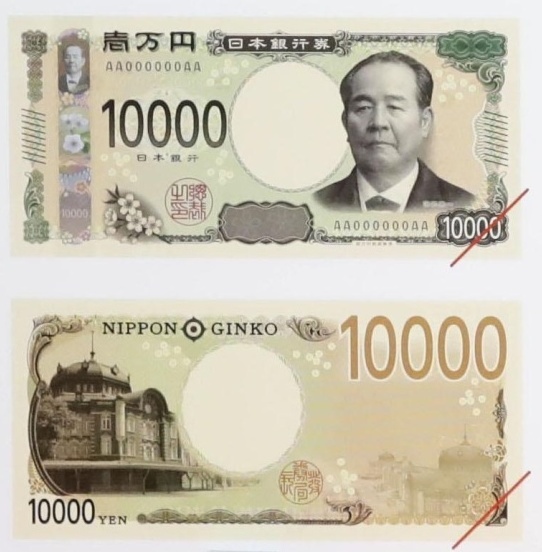 However, the format has been modified – the new notes are smaller and thus easier to handle. The innovative combination of complex security features and sophisticated design provides state-of-the-art anti-counterfeiting protection." Shall we just send the Banknote of the Year Award 2019 already? The Central Bank of Mongolia has issued a new 5,000-tögrög banknote. The new note uses "the latest technology elements. This new element is virtually impossible or too costly to imitate. With the introduction of the 3-dimensional technology and the Spark Inkjet element, the Soyombo on the real currency will have a distinctive feature, which changes color with the movement, from the counterfeit currency." The old 5,000-tögrög notes will remain valid. New notes of 10,000- and 20,000-tögrög will be issued later this year. "The first change is the replacement of the holographic stripe at the front of the note with a RAPID® micro-optic security feature. 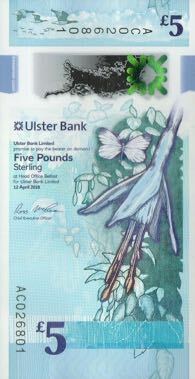 The six millimetre-wide, blue micro-optic feature displays fluid and highly visible movement behind the national flower – the Victoria Regia Lily, which is also represented in the print on the edges of the note. 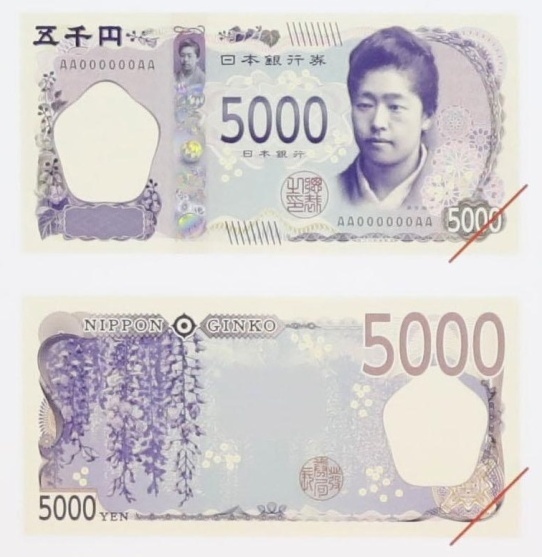 With only a slight tilt of the banknote, the BoG added, the bands in the RAPID feature move up and down behind the static numerals "1000" as the flower petals shimmer in blue and white. 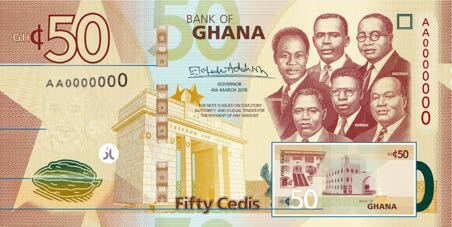 Meanwhile, the second change is the replacement of the windowed security thread at the back of the currency note with an embedded plastic thread, which is visible when held against the light." It was already announced that two Northern Ireland banks would make a switch to polymer £5 and £10 notes. The new Danske Bank and Bank of Ireland currency has entered circulation in February 2019. Danske Bank's new £10 polymer note is similar in design to the previous paper note, bearing a portrait of inventor John Dunlop. 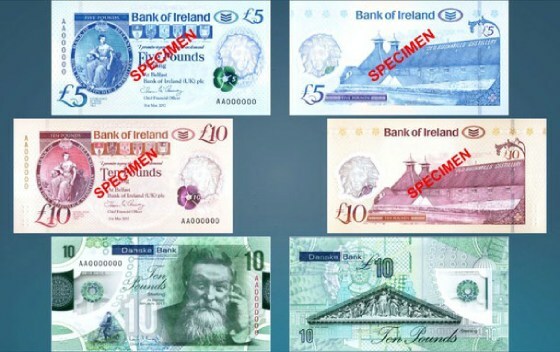 The Bank of Ireland has also issued new £5 and £10 notes, with the polymer versions retaining the image of Bushmills Distillery in County Antrim. 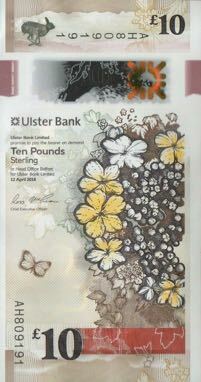 The Ulster Bank has issued also two new banknotes of 5 and 10 pound made of polymer. I think they look very pretty and to me they're definitely the best looking banknotes of the lot. The Reserve Bank of Australia has presented the new 20-dollar banknote which will be introduced in October 2019. From the press release: "As with the existing banknote, the new $20 features portraits of Mary Reibey and Reverend John Flynn. Mary Reibey arrived in Australia as a convict, but soon broke out of rigidly defined social norms to earn a reputation as an astute and successful businesswoman running her shipping and trading enterprises. She also became known for her support of charity, religion and education. Reibey's story is illustrated on the new $20 banknote through an image of a Port Jackson schooner in Sydney Cove in the early 1800s, similar to the type owned by Mary Reibey. Beside it is a traditional Eora nowie (canoe). Aboriginal women fishing from these vessels were a common sight on the harbour in Reibey's time. John Flynn pioneered the world's first aerial medical service in 1928, now known as the Royal Flying Doctor Service (RFDS), to spread a ‘mantle of safety’ across 7.65 million square kilometres of outback. Today, it remains the largest and most comprehensive aeromedical emergency and healthcare service in the world. His stories are told through a RFDS De Havilland aircraft leaving a remote Broken Hill homestead in 1948 and a pedal-powered transceiver used by the service to improve communication in remote areas. These features include a top-to-bottom clear window that contains dynamic elements, including a flying kookaburra that moves its wings and changes colour, and a reversing number ‘20’. There is also a patch with a rolling-colour effect and microprint featuring excerpts from Flynn's book The Bushman's Companion and the names of Reibey's ships. 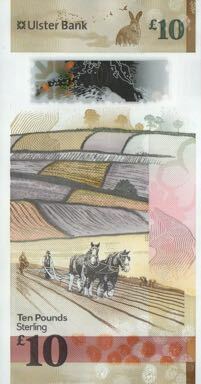 As with the $5, $10 and $50, the new banknote includes representations of a wattle and a native bird. The $20 features Acacia buxifolia and a Laughing Kookaburra ( Dacelo novaeguineae ). The Reserve Bank continues to work closely with banknote equipment manufacturers and retailers to help them prepare ATMs and other banknote authenticating machines to handle the new $20 banknote. This has included the distribution of test notes to allow manufacturers and owners of these machines to update their equipment. The design is being released today to facilitate this ongoing work with the industry as well as staff training to ensure a smooth transition when the banknotes are released later this year. The new banknotes also has a ‘tactile’ feature to help people who are blind or who have low vision to distinguish between different denominations of banknotes. On the $20 banknote, this is three raised bumps on each of the long edges of the banknote. Existing $20 banknotes can continue to be used, as all previously issued banknotes remain legal tender. It is expected that the $100 banknote will be released next year. Full details of the design and security features on the new $20 banknote, and other denominations, are available on the Bank's website at banknotes.rba.gov.au."